Love is a beautiful thing, and this month there’s sure to be an increase in candlelit dinners with significant others and chocolate boxes will fly off grocery store shelves. Here at Breathe, we think every month should be a celebration of the love and appreciation not just of others but ourselves. So we’re celebrating the most important love of all, self-love, by providing you with printable Self-Love Cards. 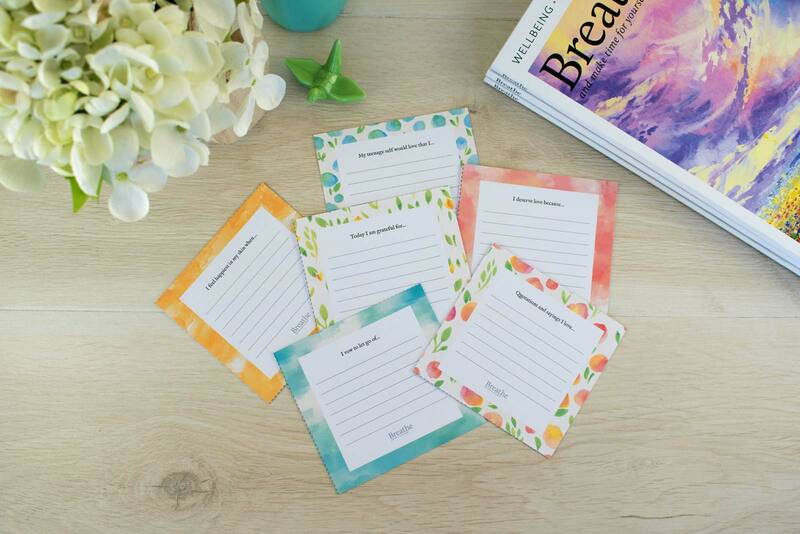 Whether you fill them out and give them to your best friends and loved ones, or hold onto them and keep them in places where you’re sure to stumble upon them daily (your bathroom mirror, in your handbag, or on your work desk) we hope these sweet Self-Love Cards prompt you to take a moment to give and receive love each and every day of the year.